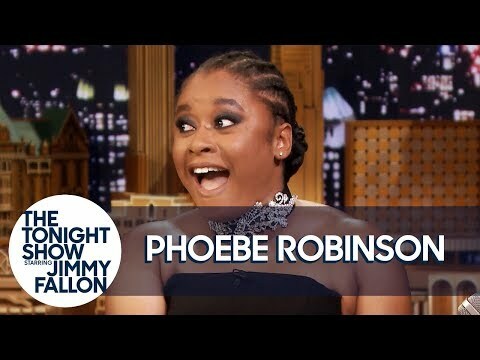 Phoebe Robinson is a multi-talented stand-up comedian, New York Times best-selling writer, and actress. She is best known as the co-creator and co-star of the hit podcast turned TV show 2 Dope Queens, which aired eight hour-long specials on HBO in February 2018 & 2019. On her second WNYC Studios podcast, the critically-acclaimed talk show Sooo Many White Guys, Phoebe interviews today’s biggest stars and ground breakers such as Tom Hanks, Issa Rae, Abbi Jacobson, and many more. Phoebe is also making her presence known in publishing as she is the author of The New York Times best seller, You Can’t Touch My Hair & Other Things I Still Have To Explain, a collection of essays about race, gender and pop culture. Her second book, Everything’s Trash, But It’s Okay, was released last fall. Phoebe made her feature film debut as one of the stars of the Netflix comedy Ibiza and followed that up by acting alongside Taraji P. Henson in the Paramount film What Men Want. She was also a staff writer on MTV’s hit talking head show, Girl Code, and IFC’s Portlandia, as well as was a consultant on season three of Broad City.